The Acumatica Commerce Edition helps streamline orders, increase customer satisfaction and expand into new markets. Acumatica provides business-to-business (B2B) and business-to-consumer (B2C) solutions for online sales and distribution operations. The modern ERP solution is a fully integrated eCommerce option to manage orders, inventory, picking-packing-shipping, returns, customer support, and accounting from one dashboard. Streamline your orders with a modern online shopping cart platform that integrates with Acumatica Financials, Sales, Inventory, CRM and Fulfillment systems. Acumatica offers a complete eCommerce solution that enables you to grow your business. You focus on the business while Acumatica helps you with a solution to meet customer demands and exceed customer expectations. 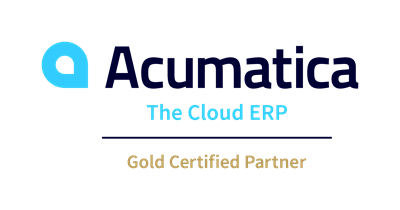 Acumatica's Commerce Edition helps reduce stock-outs, speed up the order and fulfillment processing and streamline returns and exchanges. Our strategic business consultants can help get you up and running quickly with the highly intuitive workflows and automation that will release you from wasting time on manual transactions. The Commerce Edition is developed with the market-leading eCommerce shopping carts like Magento, Shopify, and BigCommerce with two-way integration. You get complete back-end integration with Acumatica for a centralized ordering platform for online sales, over the counter retail sales, catalog sales, and sales by phone. Your Sales team has access to real-time inventory counts at the time of order placement to deliver goods as promised and on time. Your Warehouse has a simplified system to help reduce shipping and packing errors by automatically printing barcode labels and pick tickets. Simply scan picked goods when they are placed in a box, and confirm shipment. Acumatica's shipping is integrated with UPS WorldShip and FedEx Ship for accurate rates automatically populated which eliminates manual entry for greater efficiency.